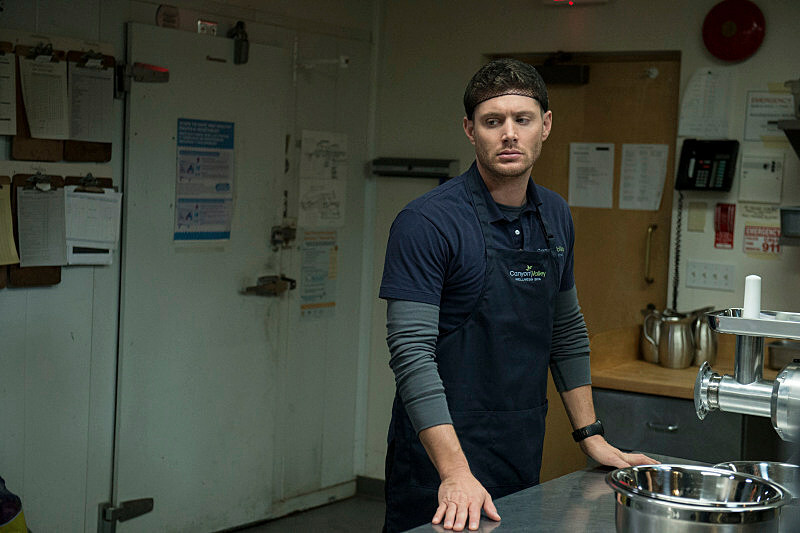 Now that 'Supernatural''s Sam and Dean are back together (again) as of this past week's "Sharp Teeth," the dynamic Winchester duo have hit the road in pursuit of another case that sees victims mysteriously dropping tremendous weight at their time of death. 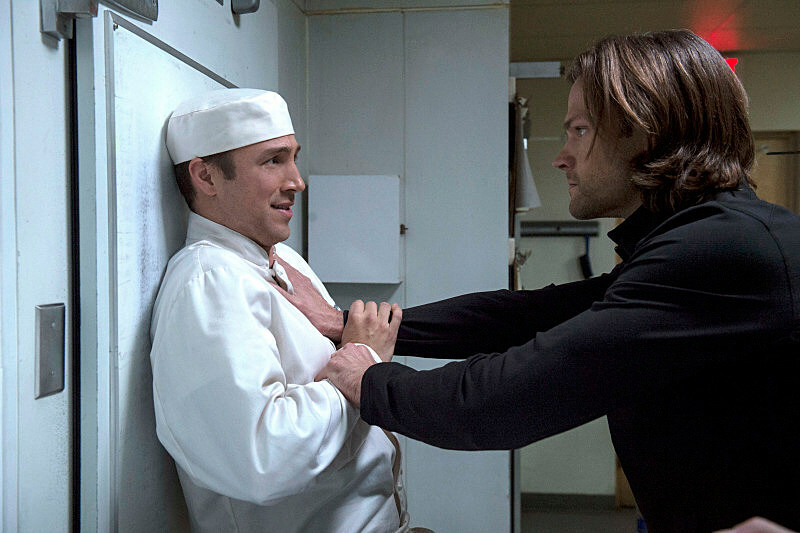 Watch the Winchester brothers tackle Minnesota nice for the latest 'Supernatural' weirdness in the first clips and photos from "The Purge"! Adding a dash of 'Fargo' to the proceedings, "The Purge" (no, not that one) sees Sam and Dean heading to Stillwater, Minnesota when a competitive eater mysteriously dies of impossible circumstance. 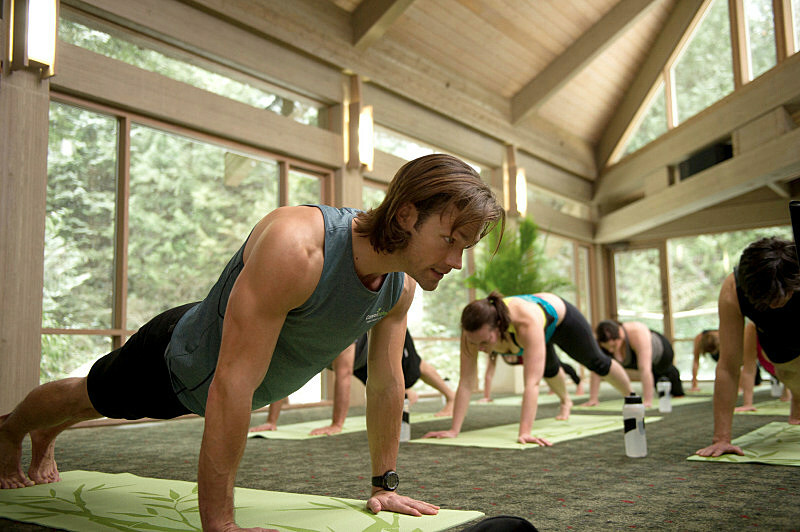 The case will even take the brothers undercover to a luxury spa and resort, wherein Sam puts some yoga to good work, and Dean ends up under a hairnet. 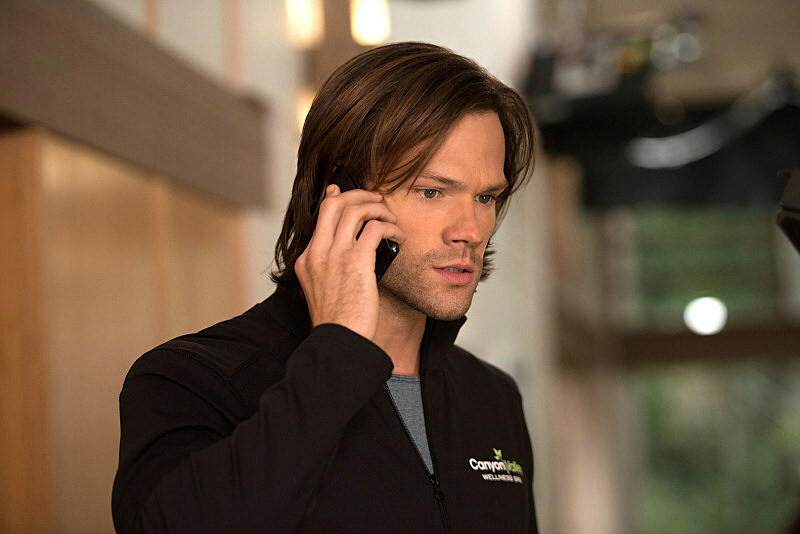 Sam (Jared Padalecki) and Dean (Jensen Ackles) investigate recent murders where the victims were hundreds of pounds lighter after their deaths. Suspecting witches, the two go undercover at a fancy day spa that all of the victims had attended for weight loss. 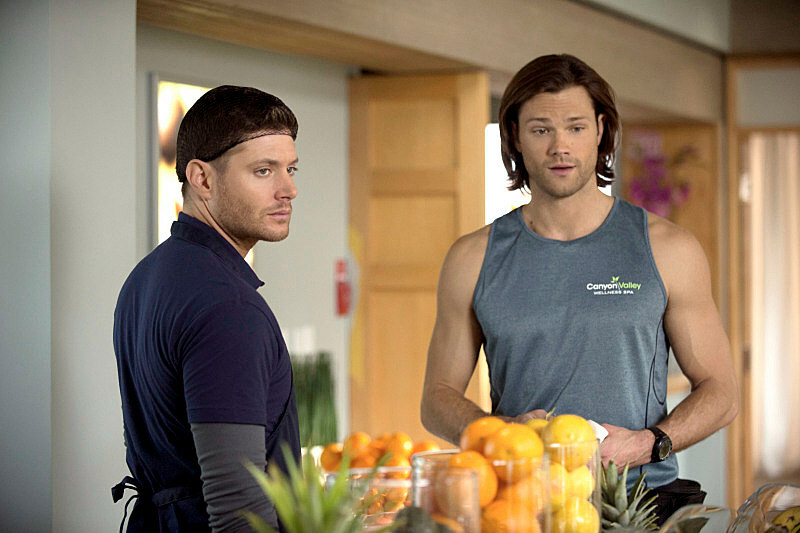 While Sam is hired as a fitness instructor, Dean takes kitchen duty. 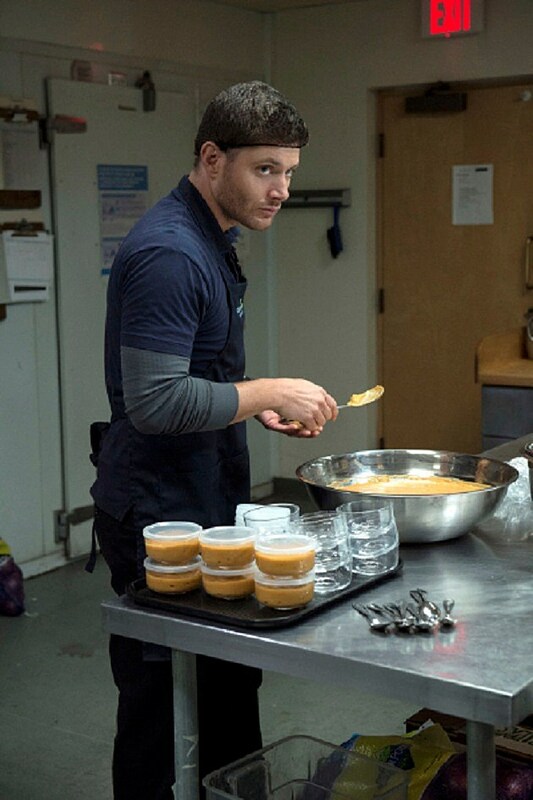 After Dean swipes some tainted food and passes out, the guys realize someone is drugging the guests and literally sucking all of the fat out of them until they die. 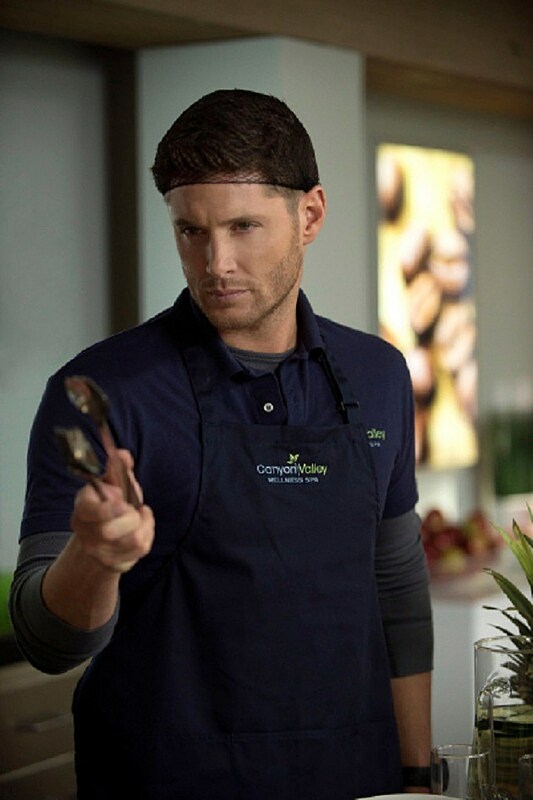 We survived the last 'Supernatural' one-off featuring the return of Garth (DJ Qualls), but will the long-running CW series succeed with another more humorous episode? Check out the sneak peak above and photos below for a clue, and tell us if you'll undertake "The Purge" next week!